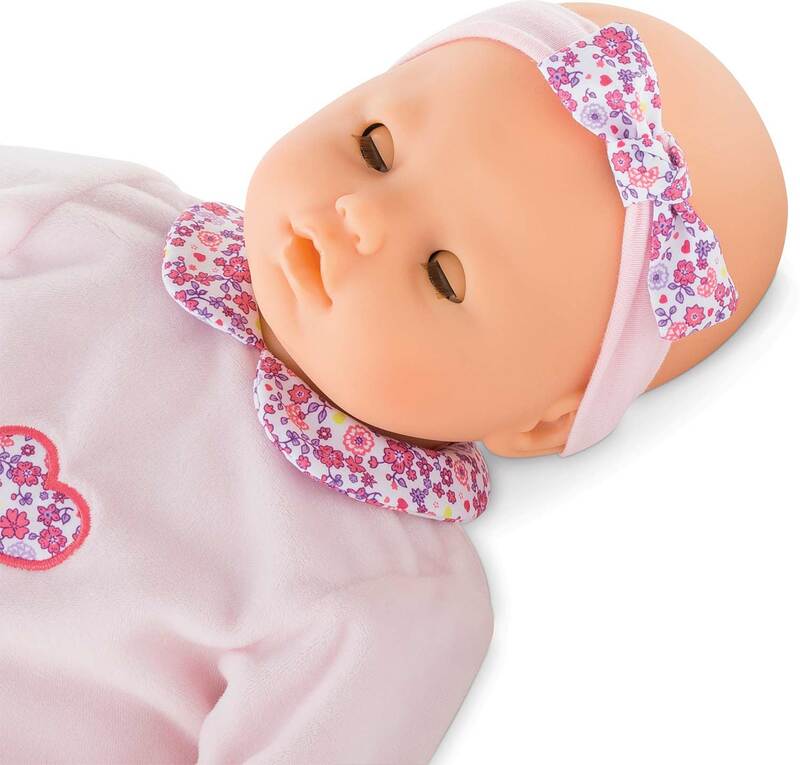 Lila Cherie is a 17-inch interactive soft-bodied baby doll for make-believe mom and dads to love and care for. Lila Cherie has 5 functions: When her left hand is pressed, Lila Cherie will randomly babble and coo or cry and her cheeks will turn red. She makes sucking sounds when she's given her pacifier or feeding bottle. When you press on her tummy, she laughs. 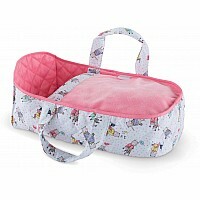 Lay her on her tummy and Lila Cherie cries (without her cheeks turning red.) She stops crying on her own in about 20 seconds or immediately when given her bottle or pacifier. 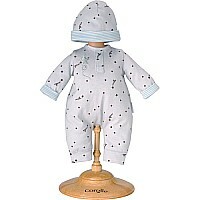 Lila Cherie's head and limbs are made of soft vinyl that is delicately scented with vanilla, a Corolle signature. 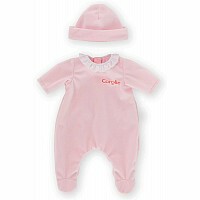 She's dressed in pink pajamas and a matching headband. Her blue sleepy eyes close when she is put down for a nap or at bedtime, just like a real baby. 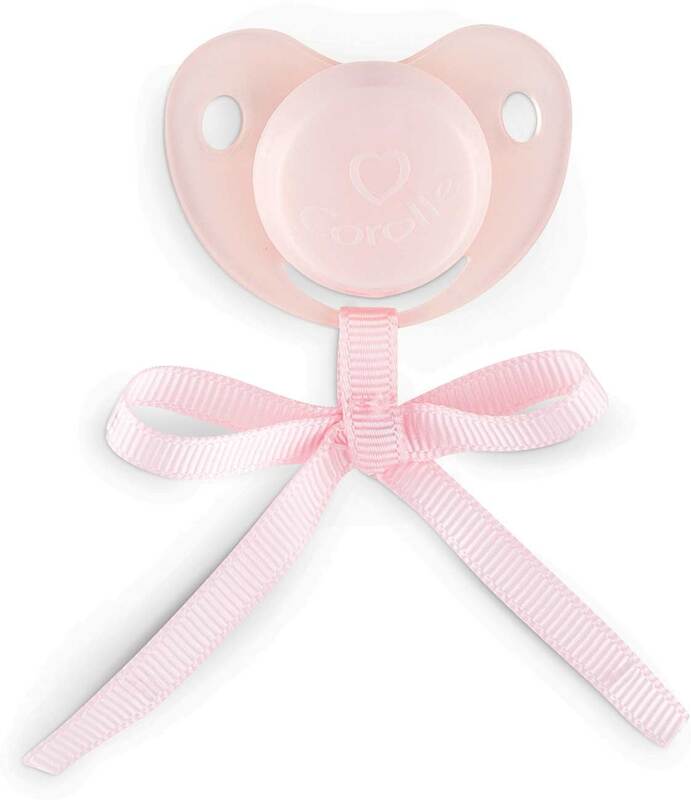 Complete with 3 accessories -- bib, bottle and an interactive pacifier, Lila Cherie is part of the mon grand poupon Corolle collection of dolls, clothing and accessories for little ones wanting to take care of their baby doll the way their parents take care of them. Ages 2 and up. Requires 3 AAA (LR3) batteries (not included). 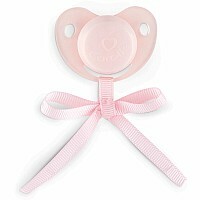 NOTE: Lila Cherie will only react to the pacifier and feeding bottle that are part of her set.